When you’re aching for a day solely spent making big lines through freshies, cure the pain and make your mark with the Faction Supertonic Skis. Their mid-stiff flex means even though you’ll have the ability to float like a boat through powder, you’ll still have the power and control you need when things get harder and more challenging. The hybrid balsa and flax core combines the best of light weight and powerful performance. The Faction Supertonic Skis are one of the best known cures for powder-deficiency, we suggest you give them a chance to start the healing process. Rocker / Camber / Rocker – 320mm rocker in the tip and tail, 2mm camber underfoot. Stiff Flex – 7/10 – Designed to provide bite and stability in steep terrain and variable snow. Hybrid Balsa/Flax Core – A lightweight and well-dampened core with a sidewall construction for great edge hold. Titanal Reinforcement Underfoot – Titanal plates secure the binding screws. The one peice design fits most touring bindings with center screws. Micro-Cap Protection – Continuing efforts to improve chip-resistance in their skis, Faction incorporated a ‘micro’ cap where the topsheet meets the sidewall on sandwich constructed skis. 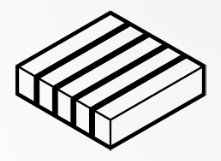 Sandwich Construction – Used on most of Faction’s skis. A traditional manufacturing method that provides strength, durability, good grip, and edge hold. 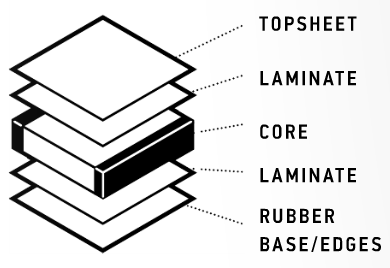 Rubber is used to dampen vibration and bond the base layers to the core. Gloss Topsheet – Thicker and harder than previous topsheets, IC8210 has a natural high-gloss finish which avoids the need for lacquer and helps the ski look better for longer. Better for the workers in the factory and better for the environment. A small but highly impactful change.